Have your cake and eat it too. This property is like no other. Stay in a luxurious paradise with a view of Bora Bora in the distance. Amazing spa and restaurant. Walking to the well-known coral garden where you “drift-snorkel” letting yourself be guided by the warm current in the water. Since its opening in July 2002, Le Taha’a Island Resort & Spa has gathered its share of industry honours and has been praised by several publications, including Condé Nast Traveler’s GOLD LIST of “The World’s Best Places to Stay” in January 2012. Part of the prestigious Relais & Châteaux collection, Le Taha’a welcomes you to a world of immaculate beauty, a timeless universe of sophistication and authenticity. 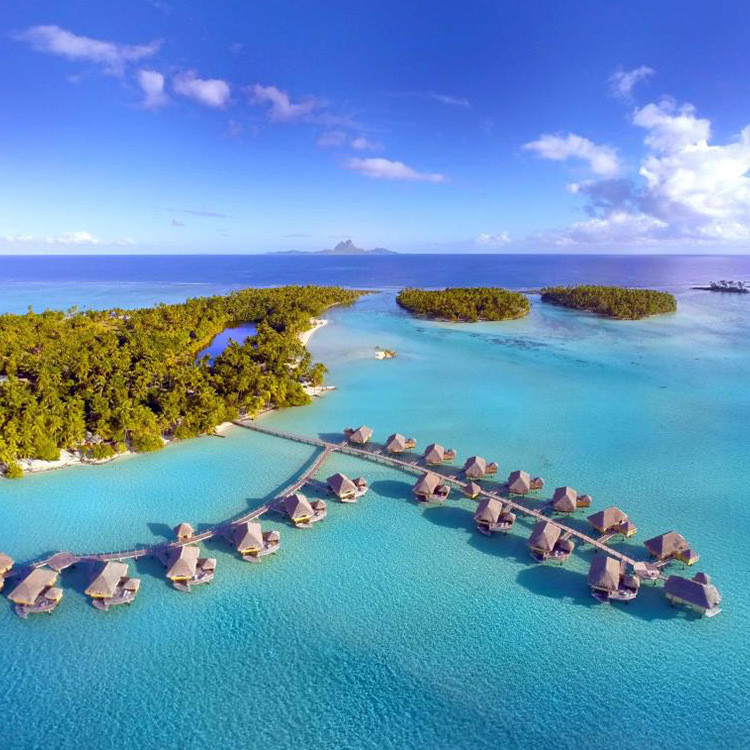 Located on the secluded Motu Tautau islet, facing the lush island of Taha’a on one side and the majestic silhouette of Bora Bora on the other side, the resort, inspired by traditional Polynesian architecture and style, hosts 57 remarkable suites and villas. Defined by the Relais & Chateaux philosophy, Le Taha’a is the promise of a total change of scenery, a way of life of its own, in harmony with its preserved environment, people and local culture.